Francis Kesse, age 33, of 3 Bay State Rd. 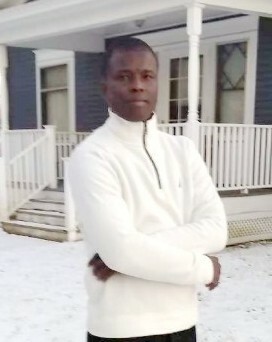 Pittsfield, died on Friday, January 11th as a result of a motor vehicle accident on Rte. 7 in Stockbridge . He was born April 4, 1985, in Kengen, in the Western Region of Ghana, the son of Nana Kesse, a Chief, and his wife Yaa Kesse. Educated in the local schools there, Francis was awarded his baccalaureate degree in Education from the Enchi College of Education in Ghana. Upon graduation, he began his teaching career in Ghana. Mr. Kesse came to Pittsfield six months ago and had been working as a Youth Development Professional for the Hillcrest Educational Centers. Francis is survived by his wife, Beatrice Quarm and his three children, Nana Kesse, Jr., Justice Quardu Kesse and Princess Kesse all of Kengen, Ghana and his many friends at Hillcrest Educational and within the local Ghanaian community. Calling hours at the DEVANNY-CONDRON FUNERAL HOME will be SATURDAY, Feb. 2nd from 1 to 3 pm. All are invited to join the family and friends at a gathering and a fund raiser scheduled to follow later on Saturday evening at 8 pm at the Skyline Country Club in Lanesboro. A Memorial Service will be held SUNDAY, Feb. 3rd at 12:00 Noon at St. Mark's Church with the Rev. Christopher Fedoryshyn, administrator, officiating. Burial will take place in the Kengen Cemetery in Ghana Western Region.